The people of Japan are continuing their tireless reconstruction efforts following the Great East Japan Earthquake and Tsunami of March 11, 2011, which devastated the Tohoku region of northeastern Japan. In this short five-episode film, five presenters—well-known foreign specialists with extensive knowledge and insight on Japan—guide viewers to intriguing destinations, introducing Japan's fascinating culture and heritage along the way. They also take viewers to the Tohoku region, which shows every sign of recovery. The film's goal is to help viewers around the globe rediscover the appeal of Japan. The presenter, a chef, will visit Fukushima, Miyagi, and Iwate, all hit by the great earthquake in March 2011. 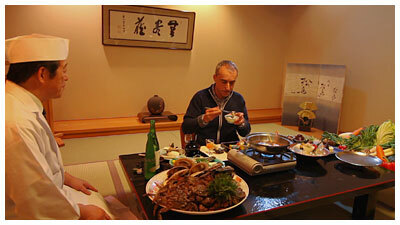 The film will look into the richest food and ingredients found in the various traditional local cuisine of Tohoku. From fashion, anime and manga to the latest entertainment scene, the film will invite viewers to the hottest places in Tokyo to get a glimpse of Japanese Pop Culture. The presenter will visit veteran artisans to savor the allures of Japan's pottery, indigo dyeing and lacquer ware traditions. Visiting the popular tourist destinations around Japan, the presenter will experience firsthand, the Japanese way of hospitality and the diverse charms of the country. What are the latest developments in robotics, wastewater reclamation and clean energy? The film will introduce Japan's cutting-edge technologies in the fields with the greatest business potential.